The Telium TETRA promises to offer both customers and companies an exciting and ground breaking way to take payments in 2017. 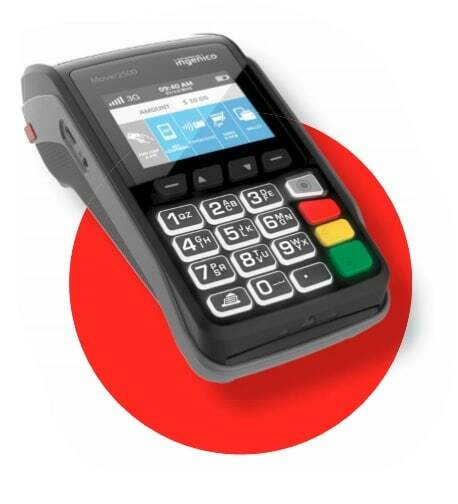 The Telium TETRA range which has been produced by the UK’s leading card machine provider Ingenico, promises to extensively improve businesses’ payment chain, whilst delivering payment solutions that can streamline any business. The Telium TETRA card machine creates a revolutionary payment platform, in which customers can pay using the digital age platform offering updates via Apps. The Telium TETRA card machine range will improve the end user’s experience, and offers a logical way to take payments. The card machine will provide an application notification on acceptance terminal, and the app can be downloaded in real time and can offer the QR scanner in which companies will be able to offer real time discounts and promotions. The Telium TETRA card machine range boasts security of the highest order and comes fully featured to help benefit the customer experience. It will change the payment industry in 2017 and beyond, and will provide a seamless integration between payments and businesses forever. Although the Telium TETRA will be made up of four estates, Wireless Terminal Solutions will be specialising in delivering the card machines to its customers. The new range of card machines will provide an improved experience for the end user, whilst offering superior technology and ensuring a better experience for customers wishing to pay by debit or credit card. The Telium TETRA Card machine range will be rolled out into our extensive card machine portfolio in the coming months, and will be available to customers on both a short term and long term rental. WTS extensive service gives customers the freedom of doing business on the go, and with our clear concise pricing the price you receive is the price you will pay, there are no hidden extras. Any Telium TETRA credit card machine rental comes with our recognised and acclaimed UK help desk which is available at weekends and evenings. Each rental also comes with our bespoke “How To” guide to support your business every step of the way. The Telium TETRA card machine range boasts security of the highest order, and comes fully featured to help benefit the customer experience. It will change the payment industry, and will provide a seamless integration between payments and businesses. The contactless reader has been moved to the top of the unit to avoid damage to the screen of the unit. The terminal base station has been changed. A big issue with previous models was the charger jack being damaged. This has been moved to the underside of the base to avoid impact. In addition to this, the 3 prong station has been changed again to minimise damage to the docking station. The screen size has been increased to 3.5 inches with multimedia capabilities. This provides the best user experience enabling business apps. The terminal will cover all payment options including Standard Chip and PIN, Contactless, Swipe, NFC Couponing and wallet use cases. The Tetra range offers a touch screen and app store/ Market place allowing additional features such as Mobile top up, stock ordering and many more.